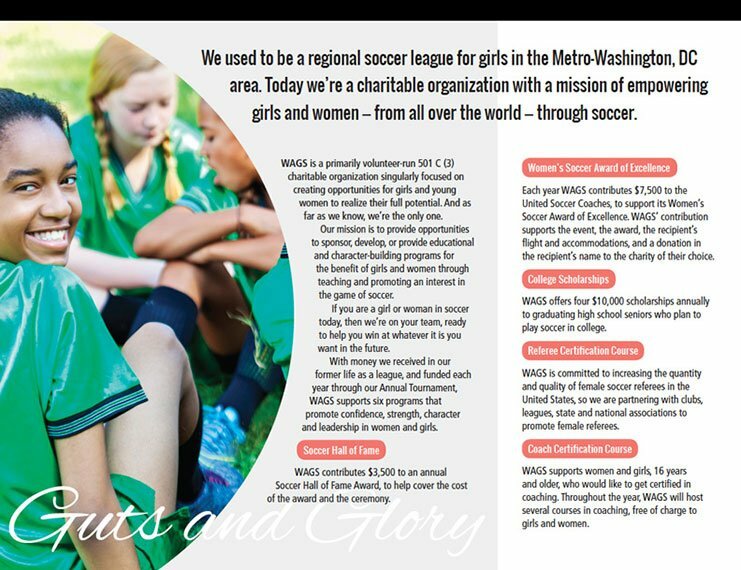 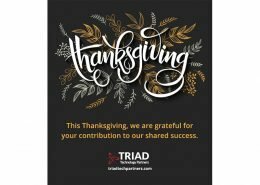 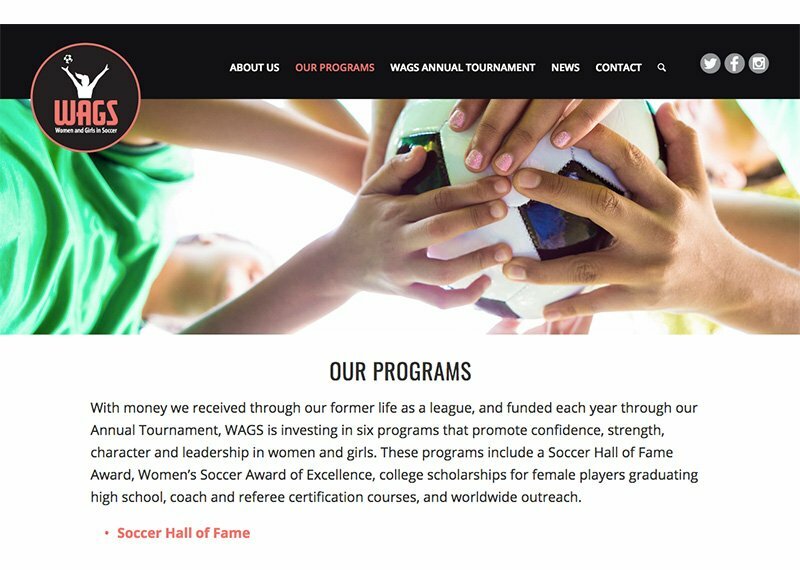 We rebranded WAGS (Women and Girls in Soccer) from a soccer league to a charitable foundation, designing the logo, website and brochure. 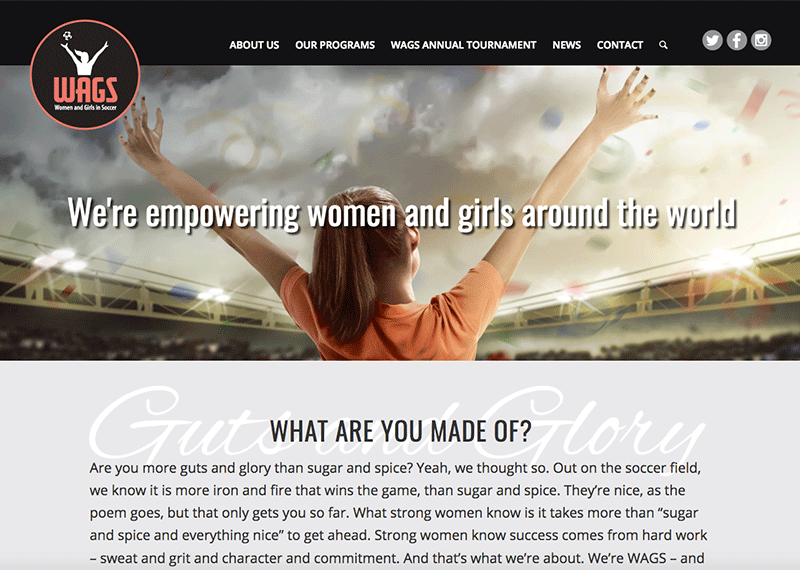 Dynamic images, plus a black and coral color palette communicate the message of female empowerment. 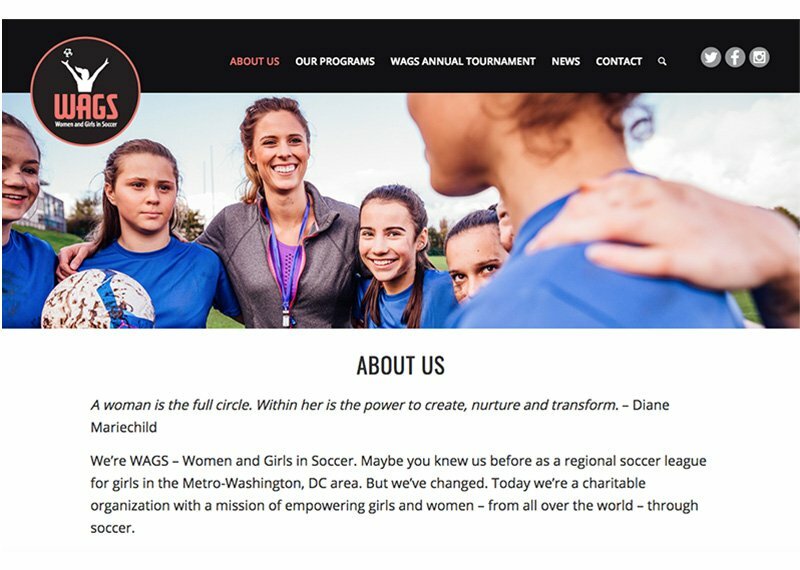 WAGS is a charitable organization with a mission of empowering girls and women through soccer.